200-kanal huge castle or palace whatever you may call it, has been highly criticised by Transparency International. 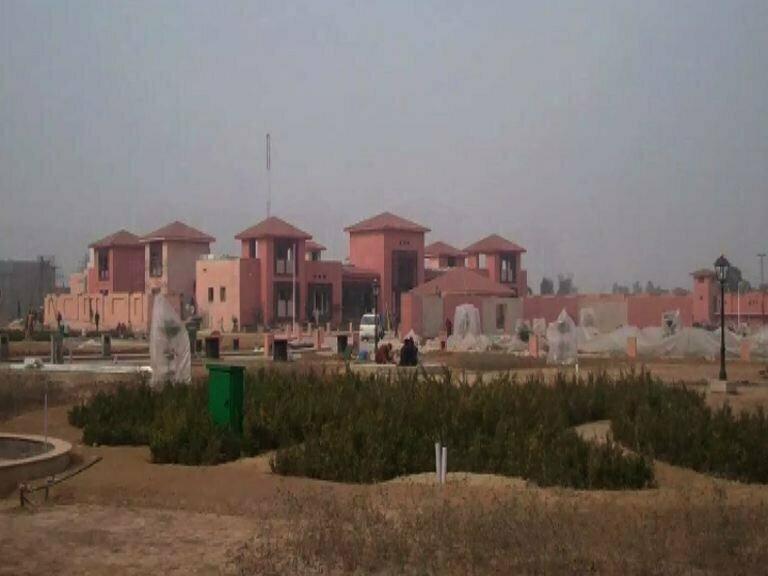 It is constructed in Bahria Town Lahore by none other than the Property Tycoon Malik Riaz. According to sources it has been gifted by Malik Riaz to the President of Pakistan Asif Ali Zardari. It has been named Bilawal House. The newly built Bilawal house can accommodate 10,000 people inside the palace and 50,000 people can gather to attend party meetings and gatherings. It has a runway for small private jet landing and a helipad. As reported it has 32 rooms, conference halls, swimming pools and huge lawns. It can serve residential and office building simultaneously. With a 30-inch thick boundary wall made of concrete and steel, it is bomb proof building. With a three layer security system, it is made sure that world’s best security system is incorporated to keep the residents safe from any kind of security threats. A bunker and basement is also under construction for making the security measures as strong as possible. The cost as mentioned in Transparency International’s report stands at staggering 5 billion rupees. Around 80% construction has been completed in just 8 months which is quite amazing when considered the facilities provided in the building. Transparency International Pakistan sent letters to Supreme Court, Chairman National Accountability Bureau, Chairman public accounts committee and federal minister of finance regarding alleged gift of 200-kanal fort to the president of Pakistan. The stance undertaken in these letters was that how an in-service government employee can accept gifts during service. Moreover Pakistan Tehreek-e-Insaf chairman Imran Khan also asked the President Asif Ali Zardari in a press release to tell the nation what favours were given to Malik Riaz in return of such a precious gift. Imran Khan termed it unfortunate that none of the law enforcement agencies including NAB should any concerns over this gift. It seems that PPPP has turned its concentration towards Punjab where it has been performing poor continuously for the last 3 elections. By making a centre of activities in Punjab, perhaps PPPP co-chairman Asif Ali Zardari is sending a message to Sharif brothers to get ready for a stiff competition. 03349889985.579 a1 gulberg 3 lahore ghalib market. dont wrote down my number on a letter.